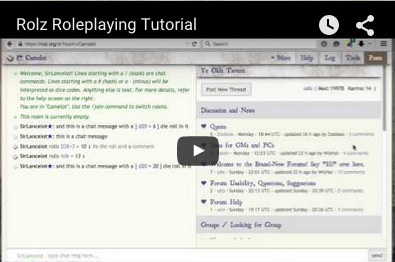 It's a special chat room designed to support pen&paper roleplaying online, in groups. Here you can have a joined session with your other players. Choose a nickname for yourself and enter the name of the room you want to play in. If there is no room with that name, a new one will be created. Give this room name out to the other players so they can join you in there. Rooms are not password protected, but their names are not listed publicly, either. Posting rolls to forums a lot?